Star Trek fans will be ecstatic that the first 29 episodes (Season 1) of their favorite TV show are finally available on HD DVD - perfect timing for Christmas, but they might be a little peeved at a few "improvements". Some of the special effects of the original Star Trek episodes have been edited to make them more realistic. 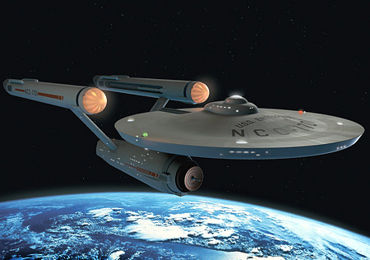 For instance, they redid the show's intro, with a CG Enterprise and planet. Personally, I think messing with the original special effects is sacrilege. Sure the special effects were cheesy, but they're nostalgic, damn it! Also, I don't see how the old effects can blend seamlessly with the new special effects. It'll probably detract from the viewing experience.